Three generations of wood-fired ovens for the pizza! Since 1892 we have been building wood-fired ovens, constructed by craftsmen, for the cooking of bread and the Neapolitan pizza. Three generations of wood-fired ovens for the pizza! Our history is that of professional craftsmanship in the construction of professional wood-fired ovens, both pre-built and built on site, for the cooking of the Neapolitan pizza. 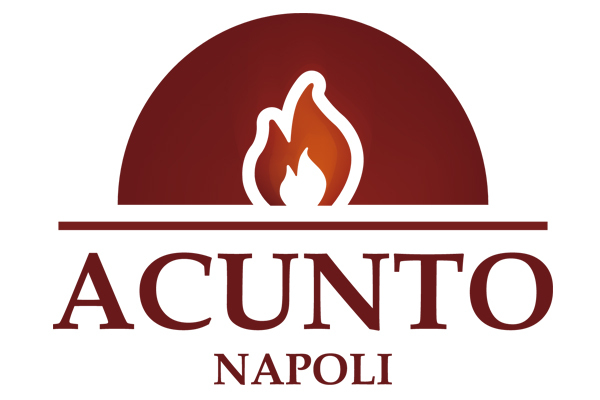 From 1892 to today three generations of the Acunto family have been involved in the production and sale of wood-fired ovens. Our ovens are craft products, some pre-built in our workshop to offer you products at very competitive prices and others entirely planned and then realized in accordance with specific individual customer requirements. 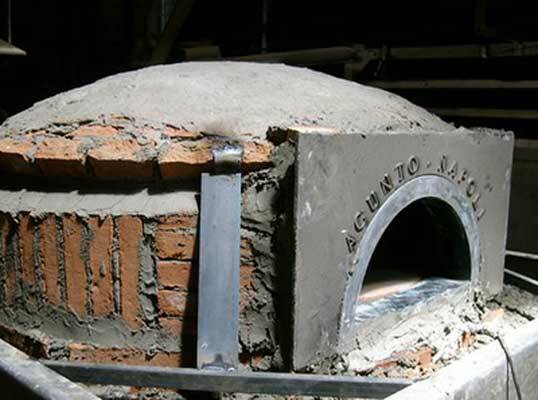 The ovens for pizza and bread of Gianni Acunto are the most famous in Naples and indeed not only in Naples. In fact our wood-fired ovens are used in the best pizza restaurants in Italy and in all the world, from Japan to the USA, from the Middle East to Eastern Europe. As a demonstration of the quality of our craftsmanship and of the reliability of our company, our wood-fired ovens have been recognized and appreciated by the Association “True Neapolitan Pizza”. If you need a wood-fired oven or an oven for a pizza restaurant, check out our wide range of products. The most famous wood-fired ovens in Naples! Our wood-fired ovens, built by craftsmen, ideal for the cooking of the Neapolitan pizza. Our wood-fired ovens, built by craftsmen, are realized in a unique monolithic structure in such a way as to make them transportable anywhere, remaining robust and damage-proof. Such characteristics moreover remain unaltered also in the subsequent installation of the wood-fired oven in a different location. The particular characteristic which make these pre-built wood-fired ovens perfectly comparable to those built on site is the use of traditional bricks of local clay fired in the same kilns that have made the Neapolitan pizza famous in all the world These bricks are fitted together in such a way as to avoid even the smallest movements.All the pre-built wood-fired ovens are constructed, from top to base, around a robust steel frame that remains encased in a cast made in a special heat-resistant concrete in such a way that the construction is damage-proof at the time of delivery and also during any possible subsequent transportations. Ovens, built by craftsmen, long lasting over time. 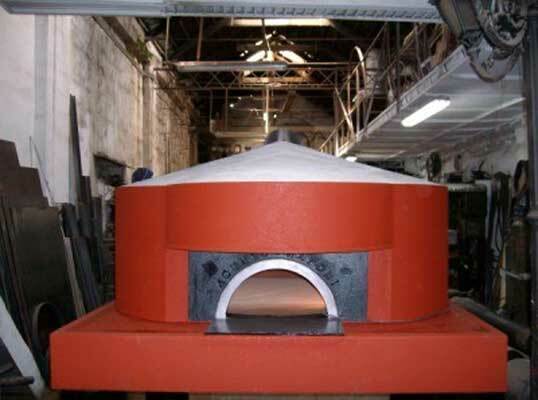 The insulation of the pizza wood-fired oven is guaranteed by the use of mixtures of cement with increased insulating features to ensure the consistency of the internal temperature of the baking chamber and of the grill and to reduce to a minimum the dispersal of heat outside the oven. The oven can rest on two brick bases or on another similar structure. 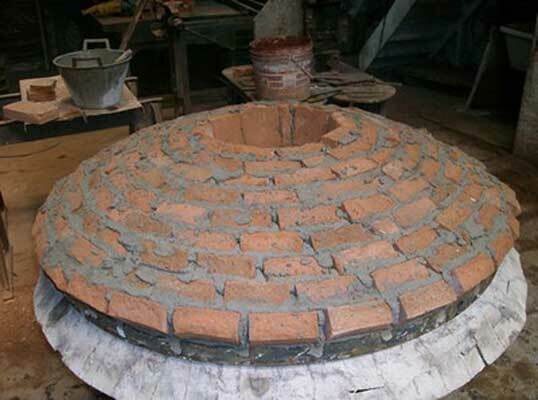 Find out about all the ovens, built by craftsmen: wood-fired, gas, traditional or circular!